After deliberating on the evidence in a wrongful death lawsuit, a Baltimore city jury awarded the family of a crime victim $850,000, as reported by The Baltimore Sun. The crime victim died as a result of fatal gunshot wounds from her husband, a Baltimore police officer. 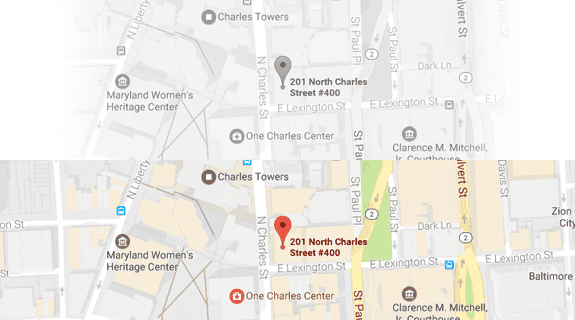 The crime in question occurred on May 7, 2013. On that day, law enforcement officers responded to a call concerning domestic violence. When they arrived on the scene, the officers heard the victim crying out for help. The officers knocked several times without success. To try to help the victim, the officers then breached the door and entered the apartment. The officers found the victim and, initially, brought her to safety outside. But the husband fired several shots out of the apartment window, striking and killing the victim. The husband then barricaded himself in the apartment. Police were eventually able to subdue the husband. Then the husband committed suicide while in jail. Filed on behalf of the victim’s children, the wrongful death alleged that the police officers failed to keep the victim safe. According to the lawsuit, the officers exposed the victim to the killer’s line of fire. Furthermore, the officers took cover when the gunshots started, but did not attempt to secure the victim. Now more than four years after the victim died, this wrongful death seems to be drawing to a close. But for our purposes, we have a great opportunity to review Maryland laws concerning wrongful death. 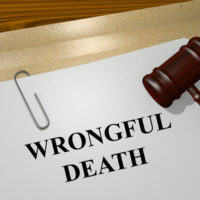 What Does Wrongful Death Mean in Maryland? We can find the Maryland state definition of wrongful death in Code of Maryland Section 3–904. Essentially, wrongful death is a legal device that allows surviving family to recover benefits for the death of a family member. It is important to note that wrongful death only applies someone else is at fault for the death of the family member in question. There are two types of legal actions under Code of Maryland Section 3–904 – wrongful death and survival action. Wrongful death seeks to provide compensation for the hardship surviving family members will endure in the absence of the dead family member. Survival action allows surviving family members to sue on behalf of the dead family member to recover compensation for the specific harm or injury that led to death. Dealing with the consequences of wrongful death or other personal injury actions can be a terrible burden. That is why it can be helpful to consult with a knowledgeable personal injury lawyer. The Baltimore personal injury lawyers at Iamele & Iamele, LLP, have built a career dealing with a wide variety of personal injury cases, including wrongful death. Don’t hesitate to contact us today. Personal Injury, Medical Malpractice, Auto, Truck and Most Accident cases are accepted with no fees or expenses to the client. © 2017 - 2019 Iamele & Iamele LLP. All rights reserved.